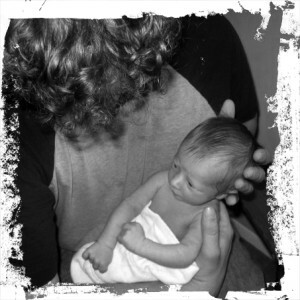 Rory Charles Greenwood was born in March, 2009. At 6lbs 6oz, he was absolutely perfect. With 10 fingers, 10 toes, and a clean bill of health, we were released the following day. It was then we took the journey home to start our new life as a happy family. At four months of age, we began to notice that Rory had irregular eye movements as his eyes darted back and forth and rarely became still. 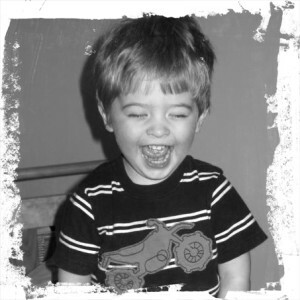 It wasn’t until a year later we discovered he had congenital nystagmus. It was this condition that led to a severe attack that changed everything. 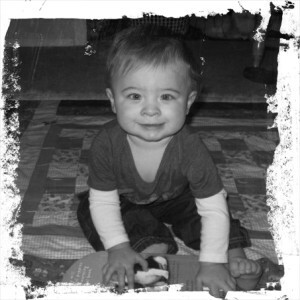 For the first two years of his life, Rory was a happy and healthy child. At times he would crawl and only use one side of his body, but these occurrences were dismissed by doctors and therapists. As these small episodes would come and go quickly, we were told he was doing it intentionally and we too believed it would pass. He was delayed in walking, but he surprised us when at 18 months of age, he started walking and talking all in the same week. He continued on like any child his age…playing with his favorite trucks and learning to dance to his favorite Michael Jackson songs. Just shy of his third birthday, Rory went in for an eye exam and came home with dilated eyes. The following morning we received a phone call from daycare saying he couldn’t move and had gone completely limp. He was rushed to the emergency room and ultimately admitted into the intensive care unit. The Ophthalmologist informed the doctors it was a possible side effect of the Cyclogel used to dilate his eyes and we patiently waited for him to “come out of it”. It was a three day hospital stay, and the catalyst that led to his final diagnosis. From the day he left the hospital, Rory spent the majority of his time in full body paralysis or attacks of hemiplegia that shifted from one side of his body to another. His body rarely experienced a break and one or two good days would give way to attacks that left him like a rag doll for over a week at a time. It was heartbreaking seeing our bright, smiling, beautiful child suddenly stop speaking, tears rolling, and collapse knowing there were no answers and no way to help him. Dr. Daniel Fain was the professional to finally tell us, “Your child has what we call Alternating Hemiplegia of Childhood.” It was bittersweet to hear the news. While we were relieved to finally have answers, the uncertainly and grim outlook for his future left us in shock. Sitting in the doctor’s office we were being overloaded with information telling us that he may eventually “plateau” and suddenly stop learning or progressing and that there was only one option for him to control his attacks, a non-FDA approved drug that wasn’t guaranteed to work. It was then we started the process to control the terrible disease that was taking over our child’s body. It has been six years and Rory is now finishing second grade as a confident nine year old. He works really hard in school and enjoys spending his free time playing games and working on creative projects. His has grown tremendously this year and we are so proud of him! 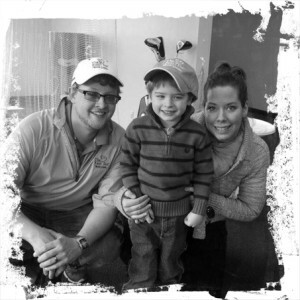 Not a day goes by that we aren’t in awe of what an amazing little boy he is. Research had come so far in such a short amount of time and we are confident that as it continues, he will have access to a cure. In the meantime, we will remain hopeful and continue our journey toward health and happiness. We have taken on the joy of raising funds through a golf outing in Michigan. A family ritual, golf is an easy fit for us to help provide researchers the resources they need to continue their work. It provides us with hope for Rory’s future, and that of all AHC kids like him. Please join us for a day of golf in Michigan, or sponsor our outing’s success in 2017! Thank you.